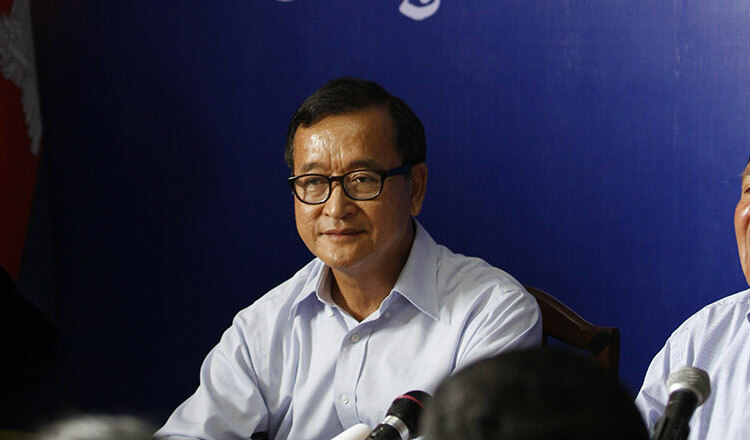 Former CNRP leader Sam Rainsy has said he will return to the country at the beginning of next year, with plans of contesting the national election in July. He made the claims in an excerpt from a discussion held in Paris on Saturday, which he later posted on Facebook. In the discussion, Mr Rainsy described Prime Minister Hun Sen’s leadership of Cambodia as being a mix of good and bad. He also said his own CNRP party was a combination of good and bad. However, he said Mr Hun Sen started out good and turned bad, while the CNRP was bad at first and became good later on. He went on to admit the situation for the CNRP is currently difficult, since its dissolution earlier this month, but claimed it would soon improve. Mr Rainsy suggested Mr Hun Sen will step down in two or three months, after which the political environment will be better. “We will go back to our country, we will reform our party, we will join the national election in 2018, and then we will win landslide support after Mr Hun Sen mistreated us,” he said. He added that his party does not need time to campaign and could win the election based on existing support. In July 2013, on Mr Hun Sen’s advice, King Norodom Sihamoni granted Mr Rainsy a pardon annulling previous convictions for which he was sentenced to 11 years in prison. 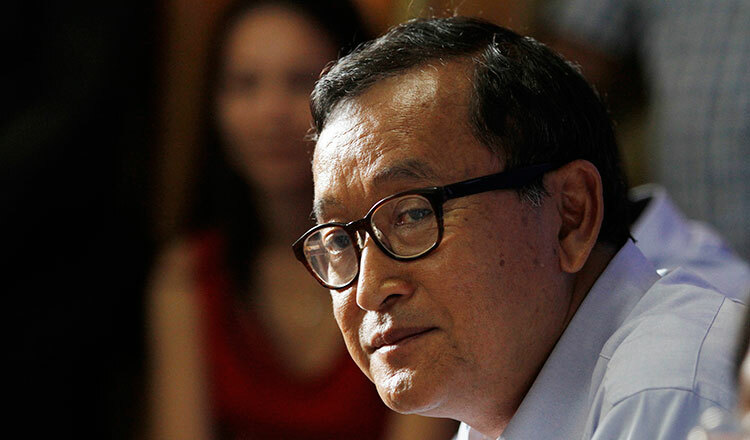 The royal pardon came five days after Mr Rainsy declared he would return before voting day on July 28, in an indication a compromise may have been forged. The CNRP was formed after a merger between the Sam Rainsy Party and Human Rights Party in 2013. It contested the general election that year, winning 55 seats from the total of 123 in the National Assembly. The Supreme Court dissolved the opposition CNRP on November 16 following complaints filed by Funcinpec and the Cambodian Youth Party in the wake of opposition leader Kem Sokha’s arrest on treason charges. The court also banned 118 CNRP members from politics for five years. Mr Rainsy stepped down as leader of the CNRP in February amid changes to the law preventing anyone convicted of crimes from being president or deputy president of a political party. 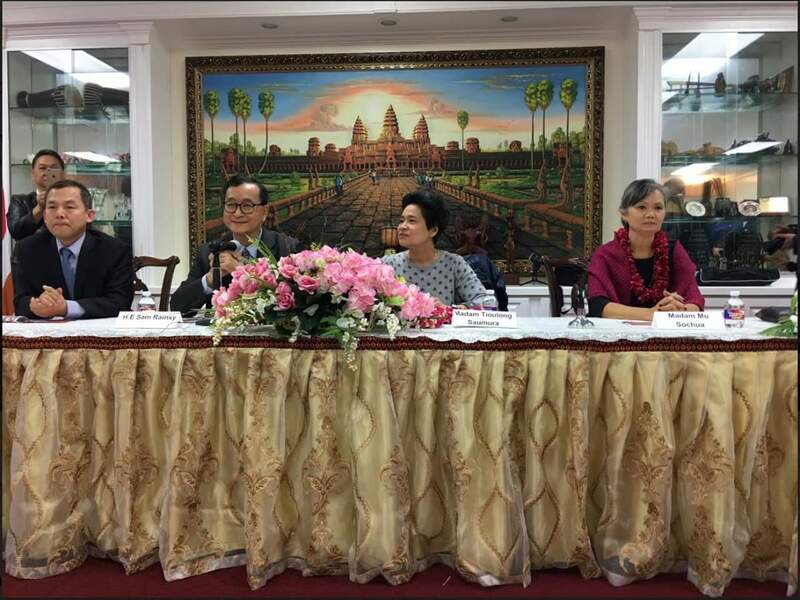 In September, Mr Rainsy announced he had created a new Association for Democracy in Cambodia. 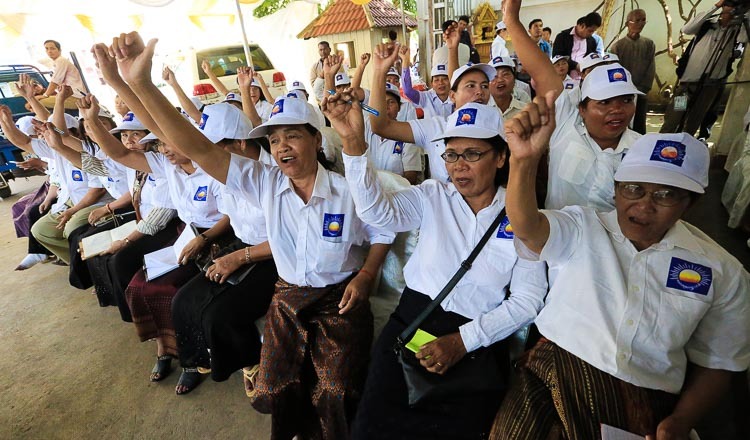 “Because I wish to continue to help and serve my beloved Cambodia, I believe it is my duty to use my newly found liberty and independence to rally Cambodians towards the goal of national unity based on democracy,” Mr Rainsy said at the time. CPP spokesman Sok Eysan dismissed Mr Rainsy’s comments as baseless. “The former opposition party is already dead and cannot rise again. He cannot come back to the country to compete in the elections,” he said.